On show last month at Tate Britain was the magnificent neon installation by Welsh artist Cerith Wyn Evans. 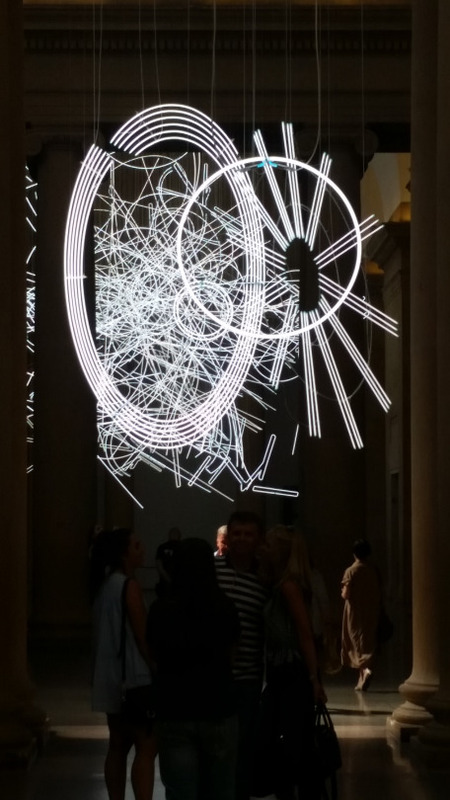 Spanning the majority of the Duveen Gallery celling, his installation, ‘Forms in Space… by Light (in Time)’, featured abstract lines and free organic forms suspended in the air. Inspired by the precise movements of the Japanese Noh theatre, his work is a clear embodiment of movement and dance. Evans’ installation was split into three partswhich constantly changed in form and composition when viewed from varying perspectives within the space. This ‘visual maze’ was undoubtedly a complex and contemporary way to capture fleeting gestures and movement.